A naturally-occurring supplement for maximum Vitamin A assimilability. Ingredients: Dandelion Leaf, Marjoram, Cayenne Pepper & Paprika. Directions: As a dietary supplement take 1 capsule daily, preferably with a meal, or as directed by your Health Care Professional. Vitamin A serves many roles from maintaining good vision to promoting bone & cell growth. Due to the lack of vitamin A foods in many diets, we may face vitamin A deficiency. Without Vitamin A we could have a hard time fighting off infections, decreased night vision & recover slowly from a broken bone. Among other benefits Vitamin A is an excellent support for the reproductive, respiratory & urinary tracts, & is also required for the digestion of protein. 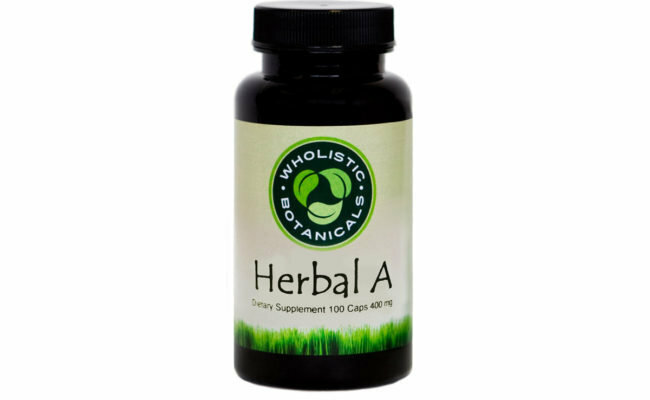 Wholistic Botanicals Herbal A caps contains the richest & most natural sources of Vitamin A in the plant kingdom & is important for bones, immune system & eye health.